Evangeline of the Bayou - Interview with Author Jan Eldredge | YAYOMG! 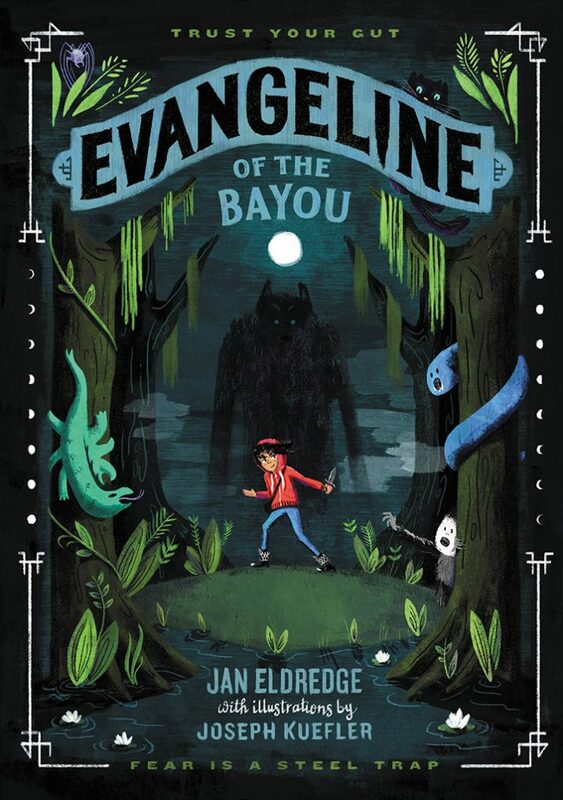 Evangeline of the Bayou by Jan Eldredge is the perfect read for anyone who is fascinated by legendary creatures, loves rooting for sassy, determined heroines, and likes a bit of spookiness alongside their fantasy adventures. It’s hard for us to resist a book that promises a bit of the supernatural along with a budding young female apprentice looking to find her place amongst her destiny, and Evangeline of the Bayou did not let us down. 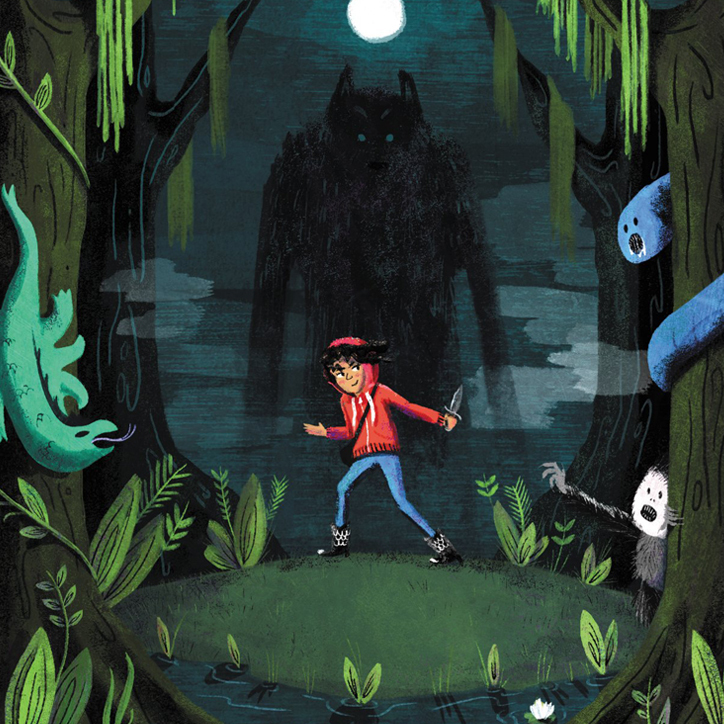 With every turn of the page, we loved adventuring alongside Evangeline as she takes on the role of haunt huntress, faces thrilling encounters with mythical creatures, and learns to trust her gut and refine her skills. Throughout the story, you’ll find eerie illustrations that pair perfectly with the atmosphere of the story, but what we love most is the cover. Each time you look at it, there’s something new to discover, and it captures the essence of the book so perfectly. Intrigued? We chatted with author Jan Eldredge about her inspirations for writing the story, which character she relates to most, and her love of all things spooky. 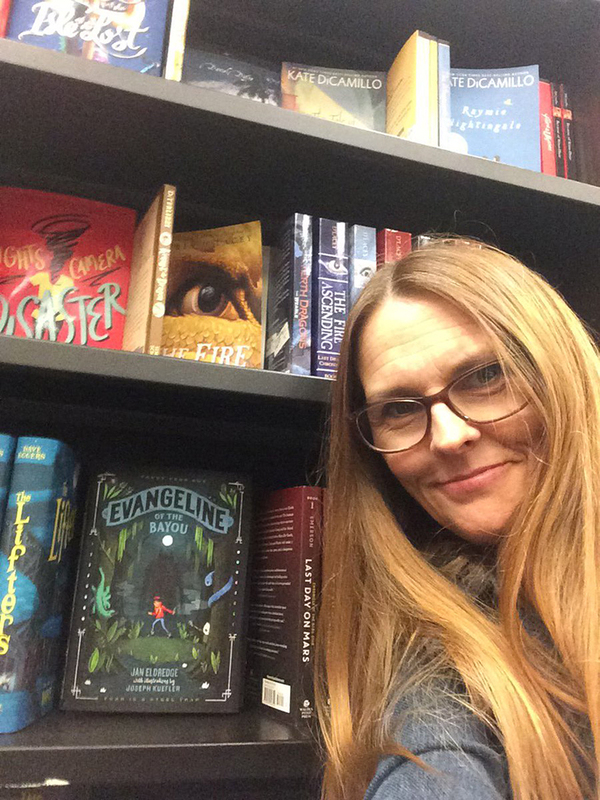 Tell us a little bit about what inspired you to tell Evangeline’s story and how the book came to life. JAN ELDREDGE: It was a combination of elements merging together that shaped my vision of Evangeline and her world. A few years ago I came across a dictionary of superstitions, and I was instantly fascinated. Since I’d always had an interest in spooky creatures, the idea to write a book about a superstitious monster-hunter seemed like a lot of fun. I’d also been reading and enjoying some middle grade fantasy novels about young apprentices, but they were all boy apprentices. The thought of making my superstitious monster-hunter a girl was another one of those elements that just felt like a natural fit. 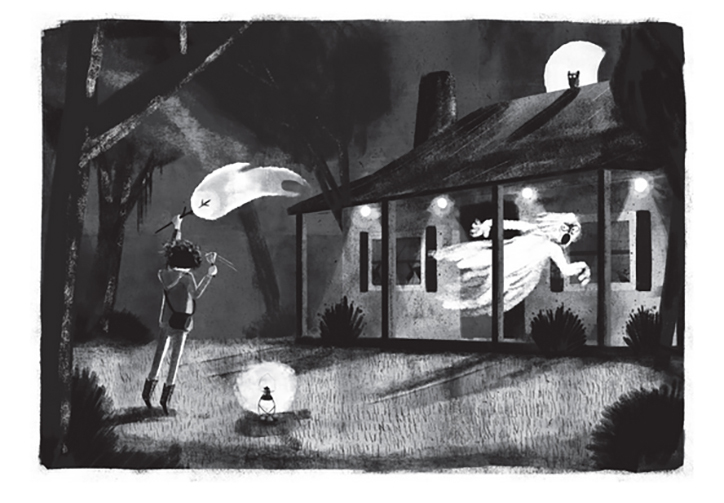 Having been born and raised in Louisiana, my home state was the ideal location for the story of a spunky, monster-hunting apprentice like Evangeline. Which three words would you use to describe Evangeline? JAN: When I think of Evangeline, the first three words that come to mind are: tenacious, confident, and doubtful. Evangeline of the Bayou is rich with references to New Orleans, Cajun food and culture, and the use of folk magic. Can you share a little about how growing up in Louisiana influenced the story? JAN: I didn’t realize that the superstitions, food, and traditions I grew up with weren’t common everywhere else. It wasn’t until I was grown and had moved to Florida that I began to realize how unique and colorful the Louisiana way of life is. I guess I had to get away from home in order to look back and appreciate its uniqueness. For example, as a kid, it didn’t seem at all unusual that my older brother would traipse through the Honey Island Swamp in search of the monster that was believed to live there. My grandfather owned a small trucking company, and I didn’t think it uncommon that every Mardi Gras day, he’d let me and my cousins ride in the cab of his truck as he pulled a colorful float and its costumed krewe behind us. Looking out over the oceans of happy people lining the sides of the streets, waving and shouting, “throw me something!” was a wonderful experience I’ve never forgotten. Family was also a big part of my life. We often got together with aunts, uncles, and cousins for cookouts of boiled crabs and other seafood. I have vivid memories of my dad and my uncle sitting outside and shucking a sack full of oysters, or my mom and my aunt in the kitchen peeling shrimp and battering them up for frying. All of these events, and a thousand others, created a rich gumbo of memories for me to draw from and include in my stories. JAN: I suppose it might be a bit strange, but I probably relate the most to Gran’s four-eared feline familiar, Fader. Gran and Evangeline are far braver than I am, and Julian is far smarter than I am, but Fader is kind of quiet and watchful and has his own unusual ways of helping others. He might seem a little grumpy on the outside, but inside he’s really not so bad. How do you think you would handle being a haunt huntress? JAN: I would make a terrible haunt huntress. I love reading and writing about ghosts and monsters and assorted spooky creatures that go bump in the night, but in reality, I’m a big chicken. I’m more like a middling, not qualified to go out on an actual monster-hunt, but perhaps capable of providing some small contribution from the safety of my home. How did your love of all things spooky and supernatural begin? Do you have a favorite legend or creature? JAN: I grew up in a family that loved to watch spooky movies and tell spooky stories. No doubt I was also influenced by my older brother who had lots of scary books and scary comic books which I often read. It’s difficult to pick only one favorite legend or creature, but if I had to narrow it down to just a few, my favorites are the classic movie monsters like werewolves, vampires, and the creature from the Black Lagoon. I also have a soft spot in my heart for legendary beings like black dog grims, banshees, and Krampus. As an author, do you have any favorite words? JAN: My favorite word is Eldritch. Not only because it sounds very similar to my last name of Eldredge, but because it also means, eerie; ghostly; supernatural; unearthly. Will readers be seeing more of Evangeline and Julian in the future? JAN: Yes! I’m currently working on the sequel to Evangeline of the Bayou. I’m having a lot of fun bringing back some of the old characters and introducing some interesting new ones, including an especially evil villain. Do you have any advice you’d like to share with our readers who love to write? JAN: My advice to anyone who loves to write is to always keep learning and improving your craft. Also, don’t give up easily; be persistent! Evangeline of the Bayou is out now from Balzer + Bray, so be sure to keep a lookout at your local bookstore or library. 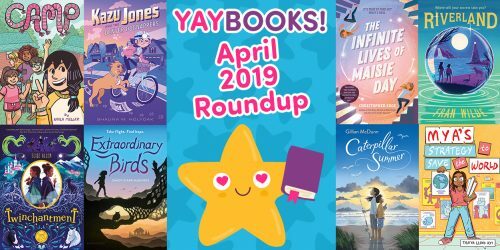 On the hunt for even more books with fierce female protagonists to root for? 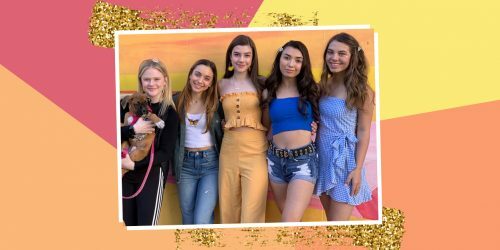 Check out these 10 Magical Facts about Wizardmatch by Lauren Magaziner!